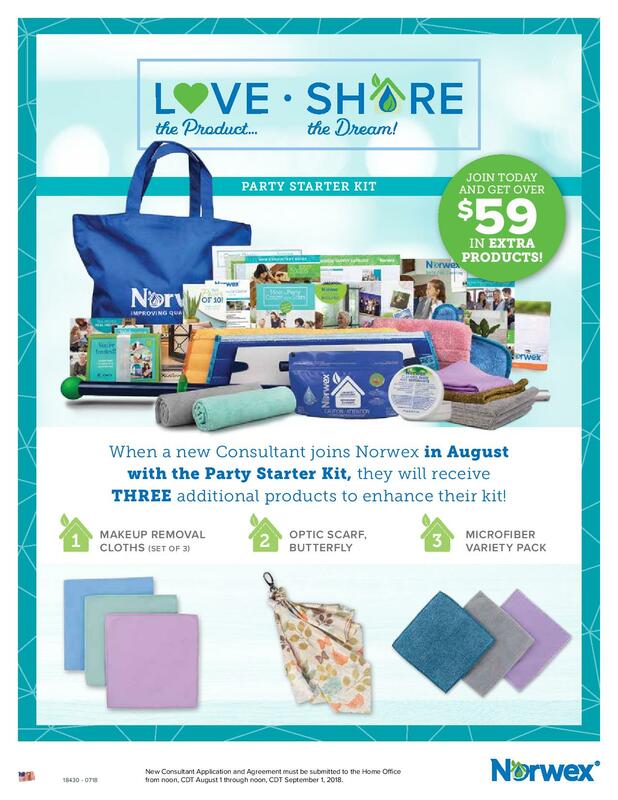 Do you love Norwex? Well, now has never been a better time to join our amazing team of consultants. It’s still not too late to hone in on this month’s incredible deals! I remember my first time experiencing Norwex products in-person. I had heard amazing things about our products but was still skeptical if they would live up to their hype. To my surprise, I couldn’t believe that there were products available that could completely change my lifestyle for the better. 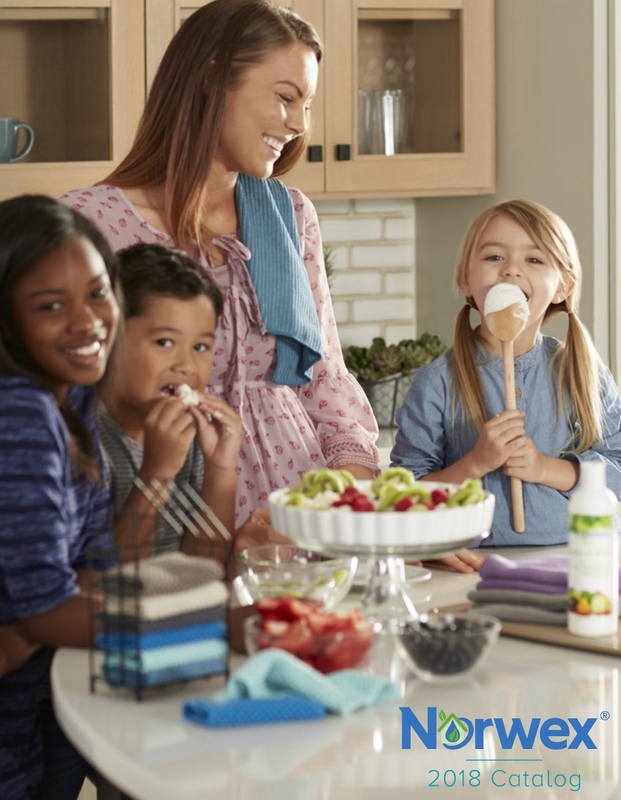 Norwex products have allowed me to get rid of so many harmful and expensive chemicals. Little did I know, I would eventually start and grow my Norwex business into a fulfilling and rewarding career! I’m here to tell you, you can too. This August we have launched our fall catalog filled with new products. Mop month has also been extended through August, so there is a lot of incentives to host! Use this timing to your advantage and get your friends to start hosting parties! Becoming a consultant doesn’t have to take a lot of time, you can make whatever you want out of it. I encourage all of those who have thought about consulting, or even those who just love our products, to give it a try. It can change your life, and it can change your friend’s and family’s lives as well. Spread the word about how they can save money, live healthier, and help the environment. You can share all of this while making money doing so! 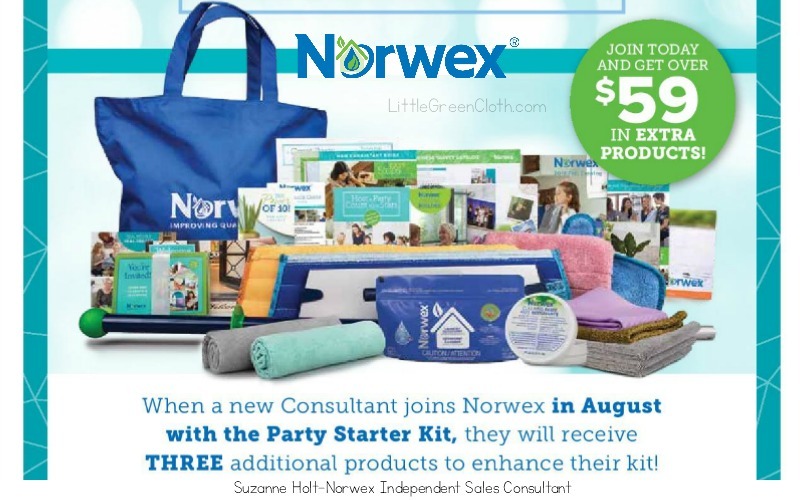 This August, when you sign up to become a Norwex consultant, you will get our Party Starter Kit as always. But, you’ll also receive 3 additional products- a set of Makeup Removal Cloths, the Microfiber Variety Pack, and the Butterfly Optic Scarf. It is not too late to get some parties planned, or even just hosting your own party! Take full advantage of these once-a-year deals, mop month will not be back for a while! What are you waiting for? Start your Norwex business and contact me today!